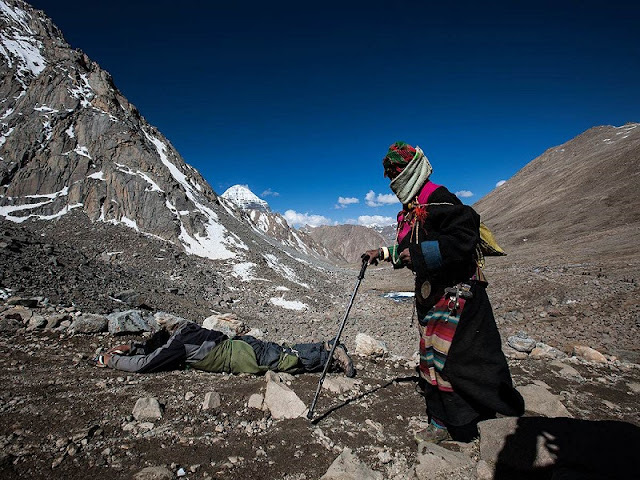 Mountain Kailash is recognized worldwide as a sacred mountain. And it's considered to be the center of the world by Hinduism, Tibetan Buddhism, Bon religion and Jainism. Mountain Kailash is not the highest mountain in the area, but the only mountain reflecting the sunlight in a miraculous way with snow covered all around the year. Mountain Kailash is 6638 meters above sea level. 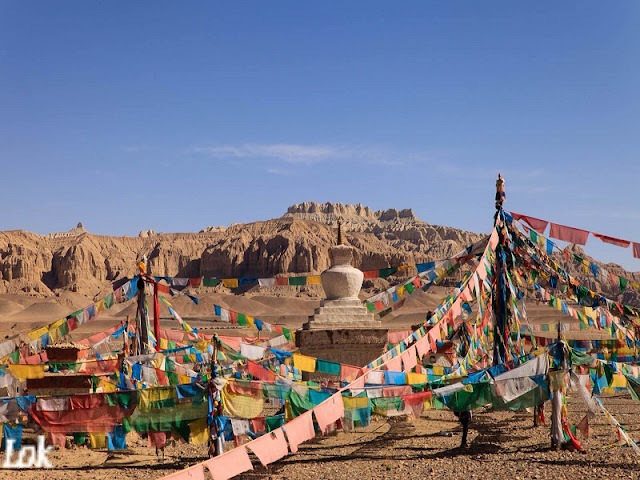 The tourists who have a Tibet tour could find the most attractive sight from south of the mountain that a giant "卍" of natural formation by rock and snow.卍 is a Buddhist symbol by the meaning of power, luck, and blessing. Mountain Kailash is often surrounded by clouds, so it's considered to be lucky to see the peak by locals. Mount Kailash means the mountain of God in Tibetan Buddhism and the heaven of Shiva in Hinduism. It's also the origin of Bon religion. 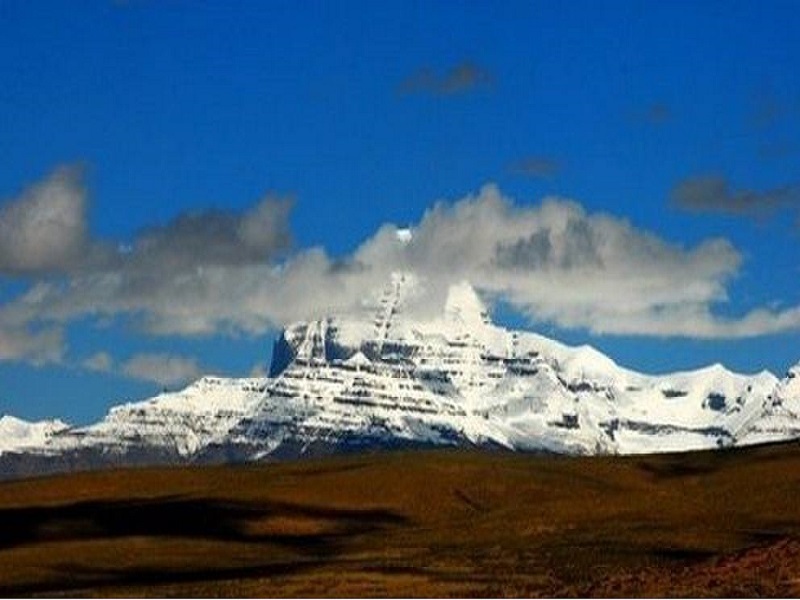 Mount Kailash had long been regarded as a holy place since about 3000 years ago. Many pilgrims from India, Bhutan, Nepal and the major Tibetan areas of China come here all the year round. There are five temples near Mount Kailash, many legends are widely spread about the temples.Lots of carvings, statues, murals kept there, but most of them were damaged. 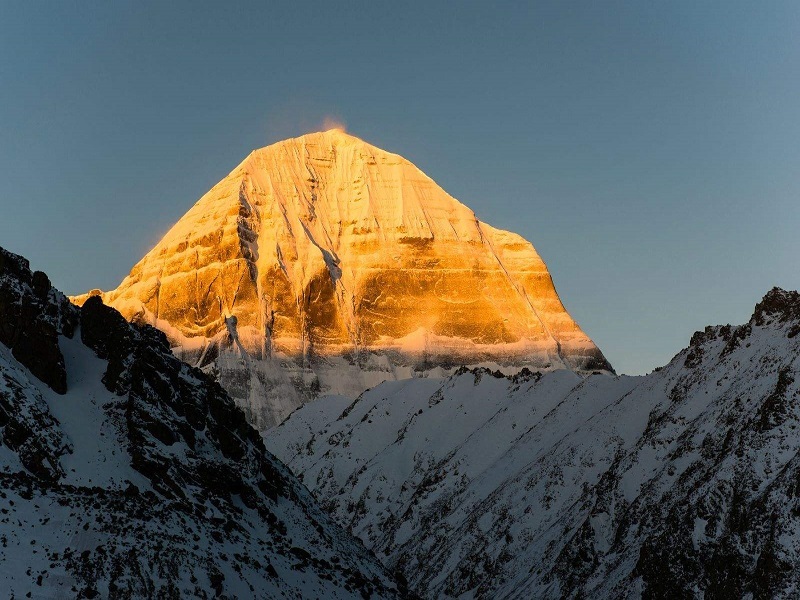 Mount Kailash is a paradise for many pilgrims and explorers for centuries, but even now no one had ever climbed to the top, in other words, no one had the courage to offend the sacred mountain. 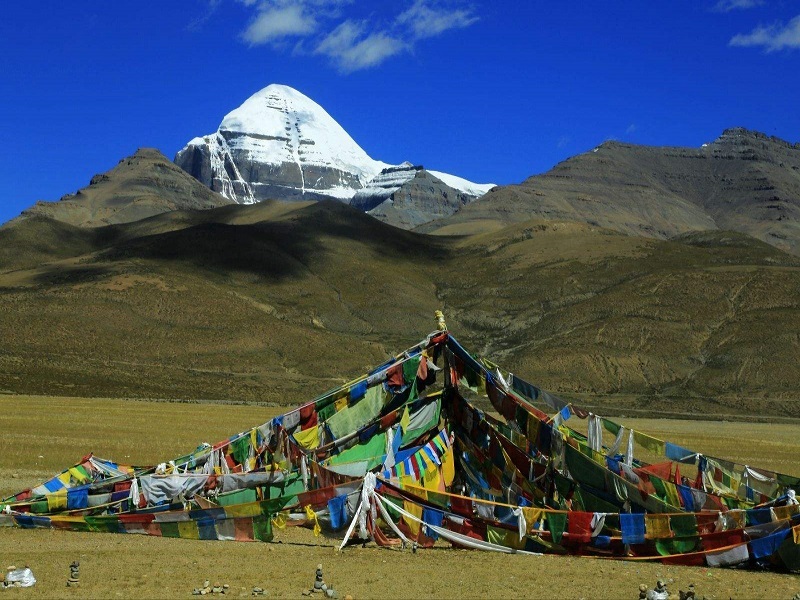 Mount Kailash had been a tourist destination in recent years, click Lhasa tour package for more.